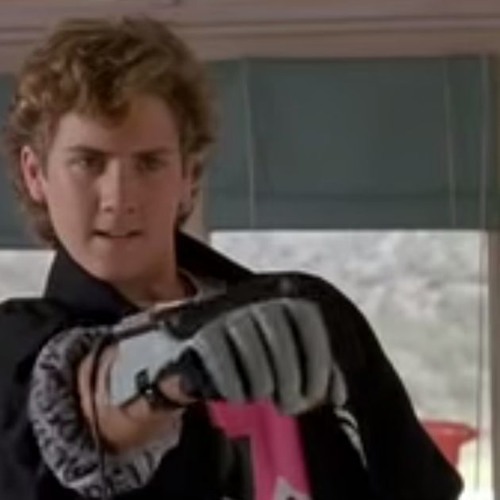 I love the Power Glove. It's bad. @martin-lubbers-817114672: Ugh, but teens around here do sometimes use the "he touched me!" just willy-nilly. PFffrrtt.... I don't know.... I think with the almost frightening levels of witch-hunting aimed at pedophiles, and how upfront people in public react to the possible 'sighting' of one. I think I'd still want a child to scream like that when they are being dragged away or threatened. @martin-lubbers-817114672: IRL Children tend not to scream "He touched me", while they sometimes just scream "Help! I'm being kidnapped! Where are you taking me!?" while playing in the street. Cause they hear this on TV. So, most alarming quality to that sentence has been generally edged away. At least that's what I see here in the Netherlands. You know, in a kidnapping situation I think I'd want my hypothetical daughter to scream "He touched my breast!". This instantly identifies the kidnapper as 'not their parent'. Similar to how people tell you to yell "Fire!" in any emergency situation. Onlookers react to this more readily, and in an emergency this is what you want. They do that on Crunchyroll, too. General interpretations of the Animal/Human/Animal concept is based on which the creature is more of and reversing it. More man? Then -man is a suffix. More animal? Then man- is a prefix. Japanese TV does that, advert break just after the opening credits and just before the ending credits. Sad. @patrick-zysk: Jebus. RIP headphone users. I quite enjoyed it. You guys should ramble more often. I thought it was the opposite problem. They had the scene written with the middle door rising but when they started installation they realized that they didn't have enough clearance for the middle door to fully rise out of shot so they quickly screwed on a hinge so they wouldn't lose a shooting day. You forgot that they had shutters over the screens. Video Armageddon thinks of every possibility. The reason the NES was broken was because they need a reason for it to be in the truck, instead of being indoors were it would normally be. 'American Rik Mayall' was all I could think when he was on screen. Glad I'm not alone/not just Mayall-fixated as I feared.